I love many books, and have the very full bookcase to prove it. I have read so many amazing books since The Twilight Saga, and increased by love for reading and writing even more. Here I will review books, some new and some I just happen to discover in my local library.I will also take suggestions on books I should review, and books people recommend. Remember this page is purely my oppinion, and is in no way disrespective to authors/books/publishers or yourselves. The Hunger Games- Suzanne Collins. I had been meaning to read this book for a long time, and when I finally read it I was transfixed. Not just on how well written this book is,but also on how the story consumed you, I was left thinking about it for days after. 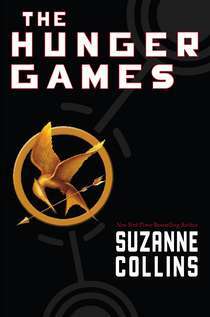 The story is told by feisty heroin Katniss Everdeen, when she takes her sister's place in The Hunger Games, a reality t.v. show endorsed by the powerful yet deadly Capitol, where kids fight to the death. And the golden rule: Kill or be killed. This book may seem a little weird at first, although once you get into the story you will be grateful for turning those first few pages. 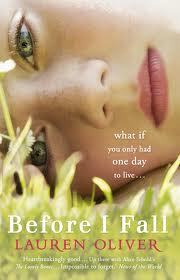 Before I Fall- Lauren Oliver. I first picked up this book after seeing all the awards it won in the Good Reads Book Awards. I thought it was going to be a cliche book on living life to the fullest, but I couldn't have been further from the truth. The book tells the tale of Sam, a 17 year old American girl who has it all.The perfect boyfriend, the popular reputation, and power. Until one day her life is cut short- and she relives her last day over again. What would you change if you had that chance? Would you have any regrets? This book had me crying, laughing, and thinking how I would live my last day. A book I reccomend to anyone, quite simply a book you HAVE to read before you die. Today could be your last day, so read it now before its too late!